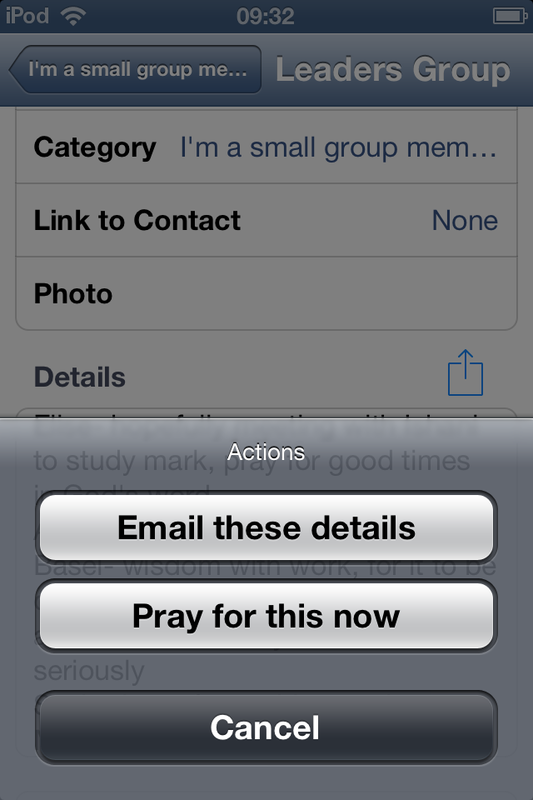 PrayerMate is a great tool to help you pray regularly for your small group. If you’ve not discovered them already, there’s a couple of features to help you in this, and even more in the pipeline for future releases. At the end of our small group meetings, we always share our prayer requests with each other. If you’re anything like me, your instinct is to type them straight into a subject in PrayerMate. But then what? Naturally, you want to actually turn to pray for them, right there and then! Open up the subject you’ve just set up, then on iOS there’s a little up arrow button by the subject details, or on Android there’s a “…” button in the top right. Press this, and you’ll get the option to pray for them straight away. 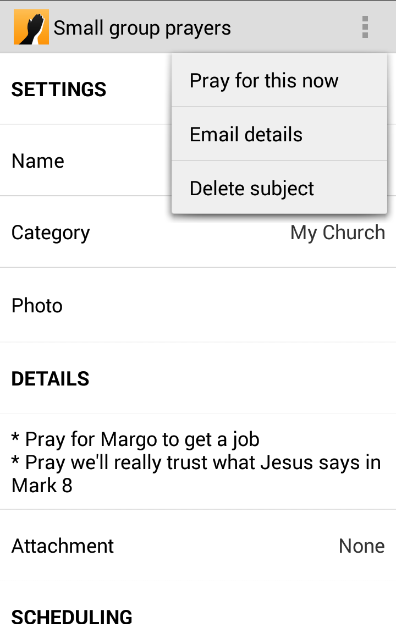 You can also email out the prayer points to your group using this same up arrow button. iOS lets you create a “group” of contacts in your address book, which you can easily access from PrayerMate, or I find it easiest to email them to myself and then forward the email to the rest of the group when I’m at my desktop.